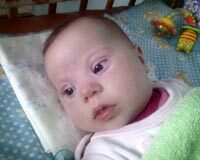 Up to three months old Alisa weighed only 4 kilograms, since her birth she had not added a single gram. Parents and doctors sounded the alarm, so after numerous checkups a terrible diagnosis was set - a severe case of cystic fibrosis. This is a hereditary disease caused by a gene mutation, with the defeat of the exocrine glands, severe violations of the respiratory and gastrointestinal tract. 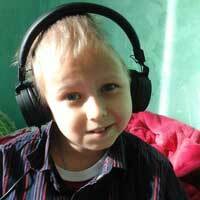 Such patients barely survive to adulthood in Ukraine. The situation is more favorable abroad where cystic fibrosis patients reach the age of 40-45 years. But, unfortunately, we are not in Canada, Germany or even Russia where almost all conditions are created for such patients. There they purchase Pulmozyme - expensive, vital antibiotics, special food, therefore life expectancy is several times higher. So, back to our Alisa. She was born in Ukraine, in a loving family with an average income. 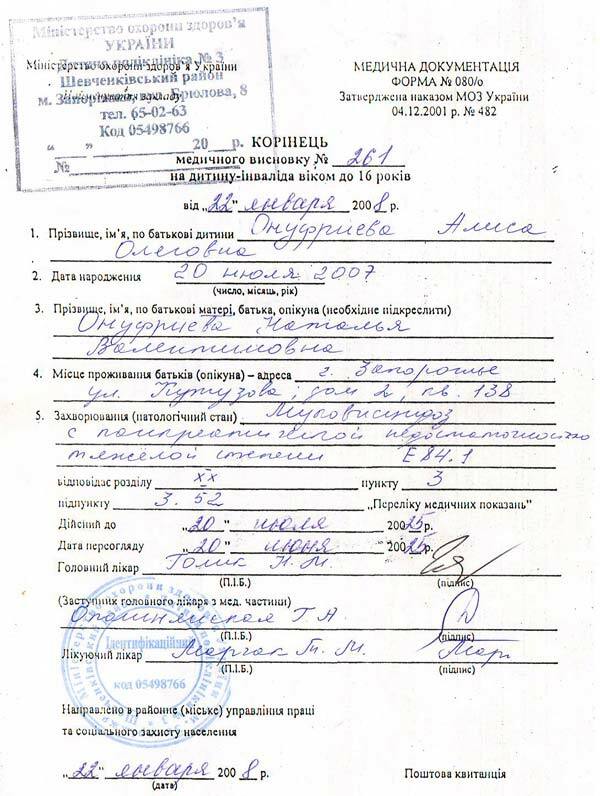 This means that her mom and dad must spend 16,000 hryvnyas (1,735 US dollars) on medication monthly, and do a regular search of rare, expensive drugs. - "I don’t have any photos of my daughter during this time, as she was very pale and thin. I fed her from the pipette all the time. She was constantly hungry, every 20 minutes was ready to drink water. That's why the food was not digested. Mother's milk was quickly lost at such a pace, then we switched to the mixture. I was strong. I never thought about myself. Perhaps I just did not have any other options”. 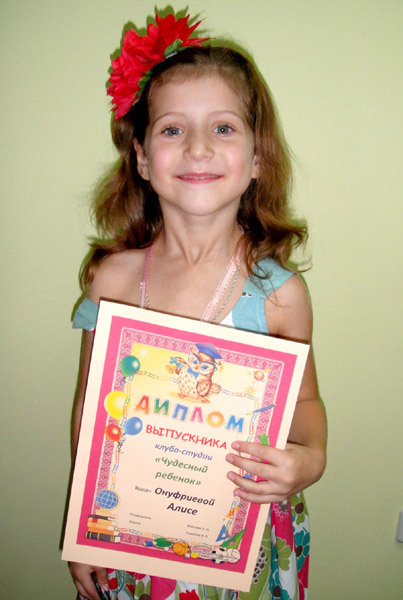 Alisa never went to a kindergarten, but this year the parents went to take the plunge - they sent their child to school. Now Mom and Dad are doing everything to their girl, so that she can feel the same like everyone else. - "We don’t let grandparent take pity on Alisa”, - says Natalia. - "Sympathy won’t change anything. Our child should be happy." Twice a year Alisa is hospitalized. If she is unlucky – more often. There she has a number of procedures, which include antibiotics and drop counters. Her mother says that all this time the pharmacies have become second home for their family. It comes to ridiculous; if she does not come for some medicine at the pharmacy, pharmacists begin to worry. 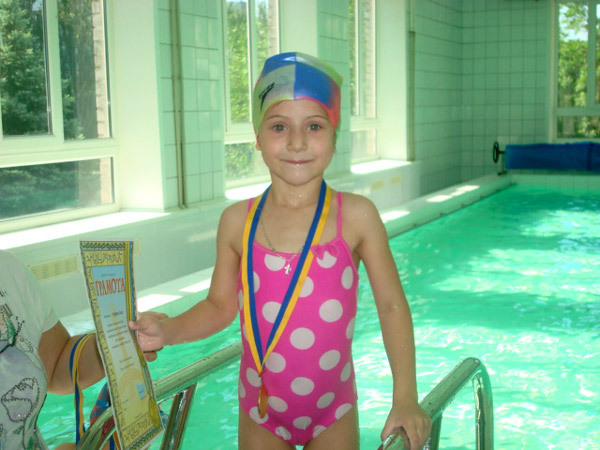 At the age of four Alisa got arthritis. Doctors say that most likely the disease appeared in the background of cystic fibrosis. Now every year, during bad weather the girl’s joints ache. The whole family now quietly hates summer. The fact is in summer time Alisa has an allergy to seasonal plants. Therefore, parents try to take their baby to the sea in the most acute phase. As they say, out of harm’s way. - "During the heat wave Alisa begins to sweat, so she loses a lot of salt. Our daughter constantly feels nausea, so she has to drink some special beverages to avoid dehydration. It’s often tasteless but Alisa got used to it. The main thing is that she feels better afterwards"- says the girl's mother. - "Mom, why do not they take so many pills?" - "Why didn’t you give birth to a girl who wouldn’t have to stay in the hospital?" - "We wanted you just the way you are. Otherwise it wouldn’t be you. Each child has their prohibitions. For example, Anya is not allowed to eat sweets, Julia may not eat fish. 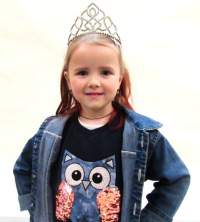 You are not allowed to eat many other products..."
Every year Natalia and her husband try to tell Alisa more about her diagnosis, so that the girl would be aware of her treatment. Now every morning when a little schoolgirl goes to school, her mother gives her two capsules of Creon medicine. It helps to split and absorb protein, fats and carbohydrates efficiently. Thanks to miraculous pills the girl can have breakfast in the dining room with her classmates. She knows that if she wants to eat any heavy meals – she needs to take medicine. Teachers are very tolerant to a severe diagnosis of the schoolgirl. Whenever Alisa feels bad - she is allowed to study at home. Each visit to the hospital means another big sum of money. Natalia is currently jobless. 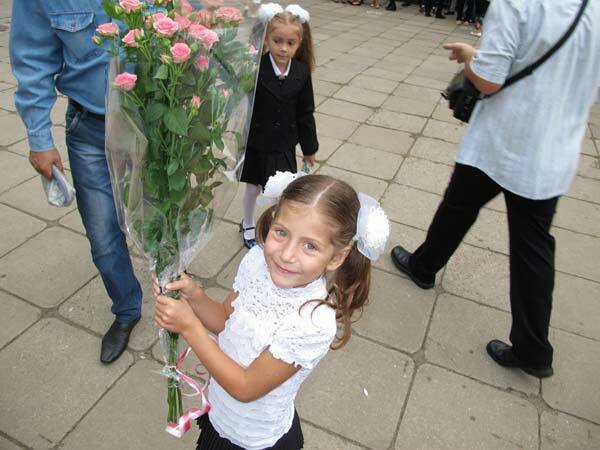 Before her daughter was five years old, she kept her job in the Zaporizhzhya National University. Then it became clear that she needed to dedicate all her time to her sick daughter. 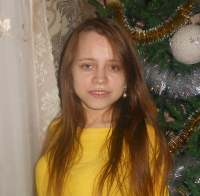 Unfortunately the money that Alisa’s father makes is far from enough for treatment. - "The child is growing. Every year the amount of medication is increasing"- Natalia shares with us. - "In addition to vital drugs she constantly needs multivitamins. Because without it her skin climbs all over her hands and feet… ". There is currently no special complex of vitamins for patients with cystic fibrosis in Ukraine. 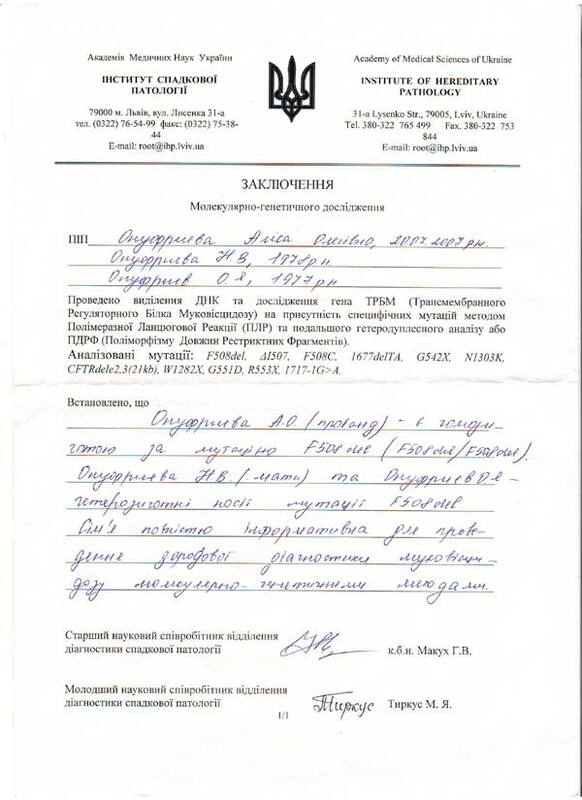 Alisa’s mother, Natalia, has found such a complex on the Internet, but the cost of a pack of vitamins is 40-45 euros. Therefore, because of the lack of money she mixes it by herself due to the help of a special table. She also hopes that someday they will have a drain vibrating vest (VEST- System), a special way of cleaning the respiratory tract, which consists of an inflatable vest and a device of forced ventilation of chest. This device is now being actively used in the United States, Canada, Russia and allows to extend the lives of patients. But the cost of one of the vest is 20,000 hryvnyas (2,170 US dollars) which is an enormous amount of money for this ordinary Ukrainian family. - "We seize the moment. All okay is good, but how it will be tomorrow - we do not know " - sighs Mom. Now Alisa has a very active lifestyle. She plays along with the other children, goes to the choir, visits the gym, swims in the pool. She already has medals and diplomas. She is very ambitious! 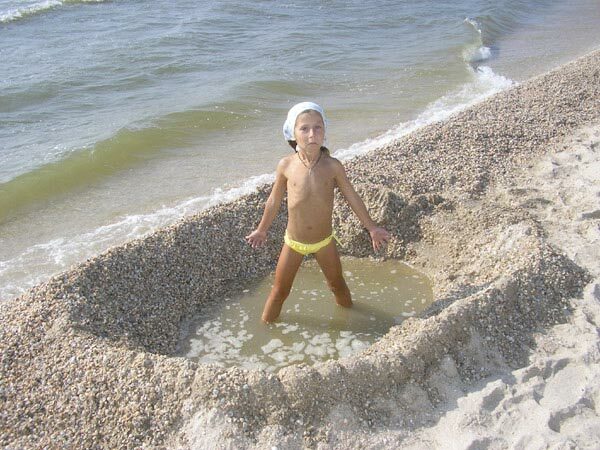 For the girl’s phlegm to be better dissolved, her parents bought a home trampoline. Natalia believes they need to grab any chance to fight a terrible disease. - "We deal with other patients with cystic fibrosis. 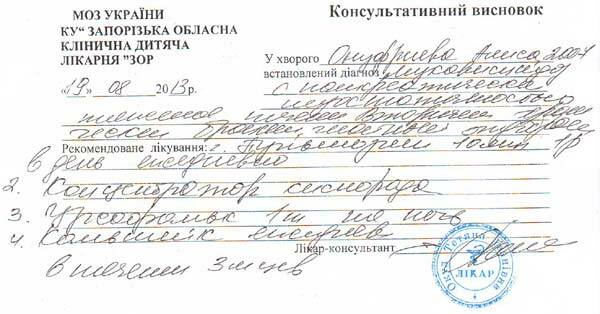 We know that a young lady with cystic fibrosis in Zaporizhzhia has even given birth to healthy babies. Medicine is not stuck in one place. And we try to be as optimistic as possible. We just hope..."
This family, and many others, where kids are brought up with the same diagnosis, really needs your support! They are incredibly strong and loving parents, but they can’t cope with such a calamity by themselves.... Support them, please! This family lives in Zaporizhzhia.